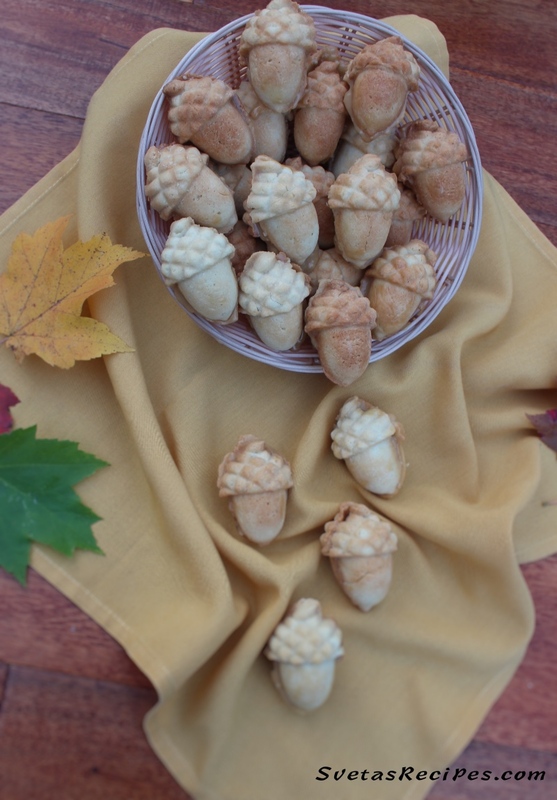 This recipe is a great dessert option for weddings and special occasions. 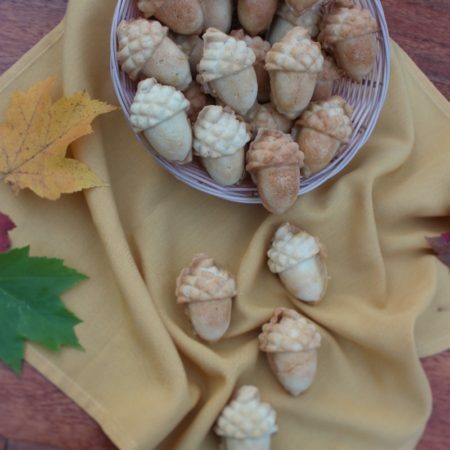 I also recommend it to food enthusiasts because it matches the theme of autumn with its acorn look and also looks beautiful. 1.) 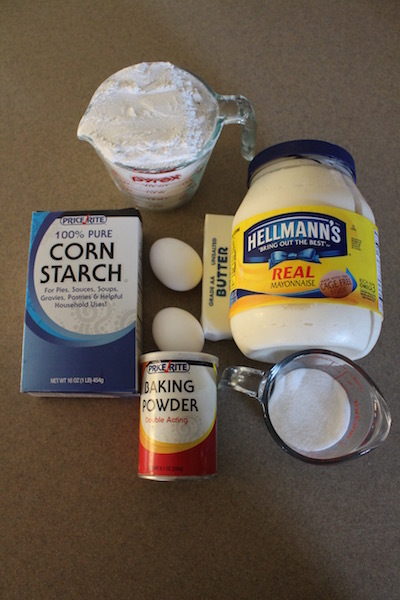 In a large bowl add your eggs, sugar baking powder, cornstarch and mayonnaise. 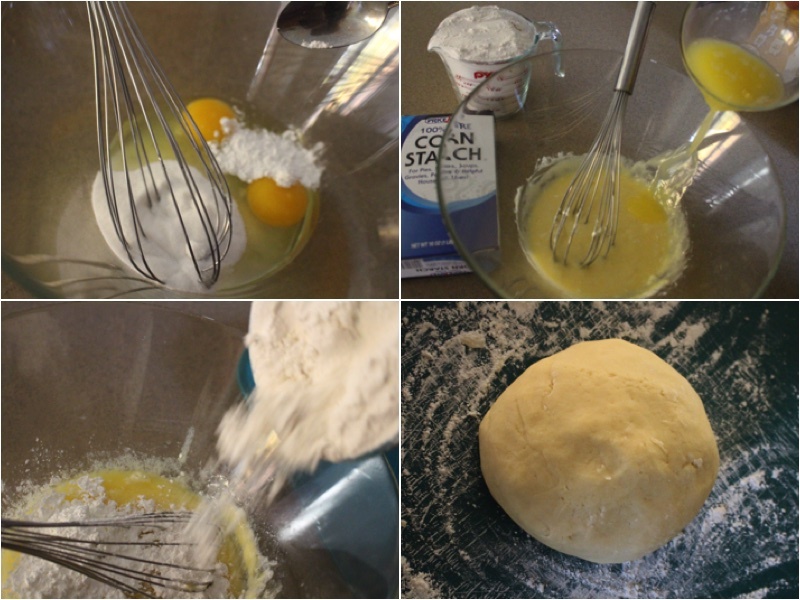 Mix well and after add butter and sifted flour. (Mix well again) Kneed your dough we’ll until its smooth and elastic. 2.) 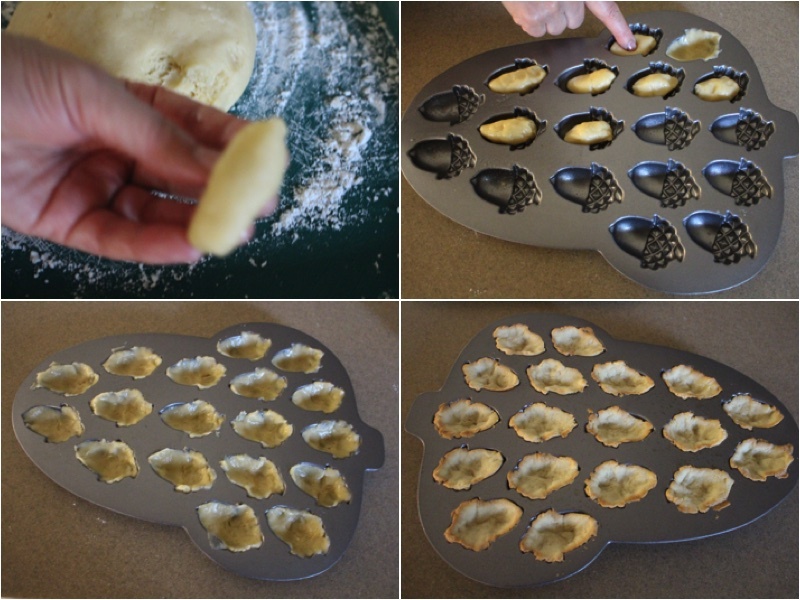 Take tiny parts of dough and form them into ovals. Next place them in the forms and push them to size. Bake for 40 minutes on 350F or until lightly brown. 3.) Using a hand grinder, grind down the sides of your acorns so they are smooth. For the cream you will need a large mixing bowl. Add dulce de leche, butter (room temperature), and crushed wall nuts. Mix together well and place inside of to half acorns using a teaspoon. Then push both half’s together. Repeat this process with all of your acorns. In a large bowl add your eggs, sugar and baking powder. Mix well and after add butter and sifted flour. (Mix well again) Kneed your dough we'll until its smooth and elastic. Take tiny parts of dough and form them into ovals. Next place them in the forms and push them to size. Bake for 40 minutes on 350F or until lightly brown. Using a hand grinder, grind down the sides of your acorns so they are smooth. For the cream you will need a large mixing bowl. 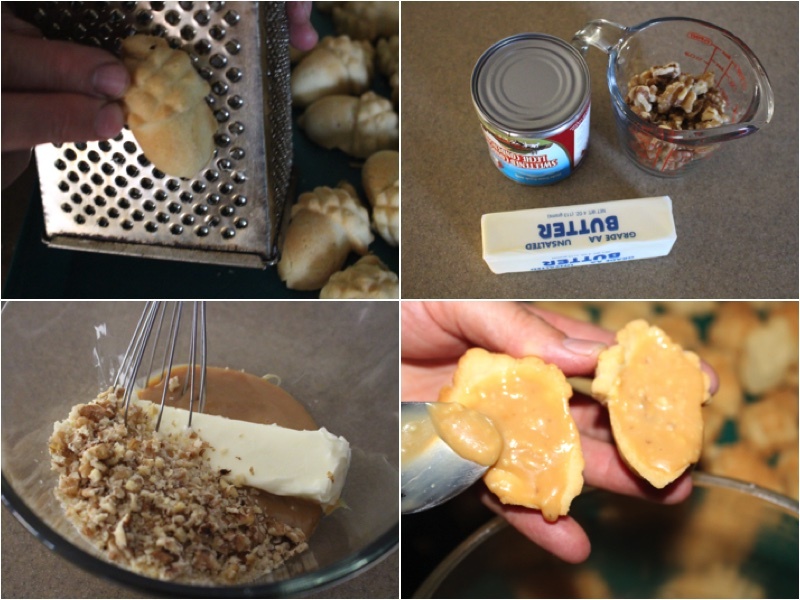 Add dulce de leche, butter (room temperature), and crushed wall nuts. Mix together well and place inside of to half acorns using a teaspoon. Then push both half's together. Repeat this process with all of your acorns.